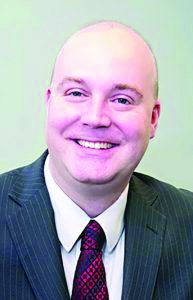 Mark Shaw, president and CEO of Stored Technology Solutions Inc. (StoredTech). 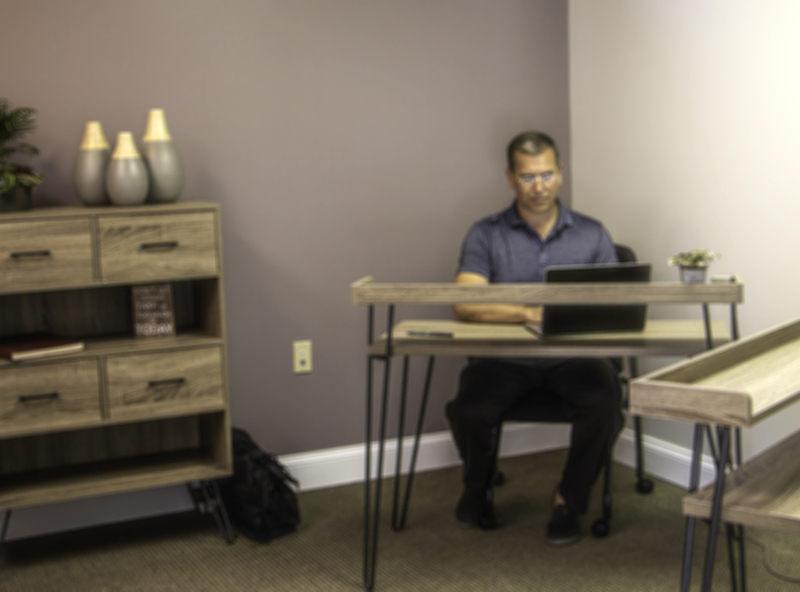 A businessman operates in the WorkSmart co-working space in Glens Falls. According to the 2018 Global Coworking Survey, a total of 1.7 million people will work in more than 19,000 co-working spaces by the end of 2018. Twenty-nine percent of those 19,000 spaces opened in the last year alone. Those statistics can only be good news for the growing number of local office spaces available to entrepreneurs and corporations who want to utilize shared spaces for their staff. The other trend being seen by analysts is a shift to more expanded work areas, with the average co-working space expanding their areas by about 70 percent. In addition, operators of existing co-work spaces are opening new locations to accommodate their growing clientele base and cement loyalty with their members. GTM Payroll Services in Clifton Park is now offering iSolved’s cloud-based human capital management (HCM) technology that combines key applicant tracking, human resources, time and labor, compliance, payroll, and benefit enrollment functions in one single point of entry solution. Using a single-database architecture, iSolved’s fully integrated system reduces compliance risk, increases employee engagement and productivity, and saves time and money, the company said. Capital Region businesses will now have access to the HCM solution with dedicated, local support. GTM’s HCM team will manage the implementation through a comprehensive yet streamlined process that keeps new clients in alignment and drives collaboration and transparency to ensure a smooth transition. Mannix Marketing was recognized with a 2017 Summit Creative Award in the category of website redesign for the design of the this Eddy Senior Living Communities website. Mannix Marketing, a woman-owned, full-service digital marketing agency, has been recognized with a 2017 Summit Creative Award in the category of website redesign for its design of the Eddy Senior Living Communities website. This year’s competition included over 5,000 entries from 24 countries around the world. The Summit Creative Award, celebrating its 23rd year, recognizes and celebrates the creative achievements of small and medium advertising and marketing agencies around the world. Judged by an international panel of industry experts, more than 5,000 entries from 24 countries were submitted in this year’s competition. 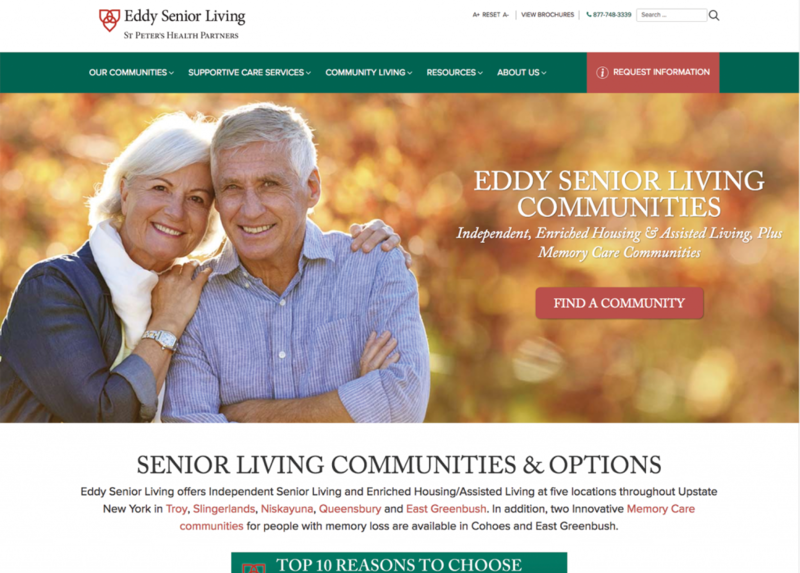 The award-winning website, Eddy Senior Living Communities (A Division of St. Peter’s Health Partners), features independent living, enriched housing and assisted living, and memory care communities for seniors in upstate New York. 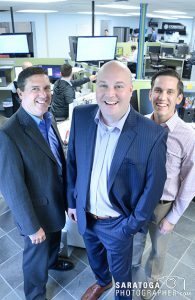 StoredTech president Mark Shaw, center, with staffers Brett Cofer, left, and Timothy Cruz. Technology is central to every company and organization in this 21st century. Even if the only hardware on site is a telephone, not much business will be conducted without it. And if it breaks, somebody needs to fix it or replace it. But what if a team of IT professionals were already on the pulse on all the business systems in a company, monitoring networks and anticipating what might go wrong next? What if instead of calling an IT consultant, your IT consultant were calling the company? StoredTech’s approach is to get ahead of a problem and propose early solutions before the emergency call needs to be made. In some cases problems are fixed remotely before the customer even notices it, he said. By actively managing customer relationships in such a way, StoredTech becomes a proactive partner invested in the success of that client company. It has tools that monitor all kinds of hardware: firewalls, computers, servers, data storage, telephones, security cameras and access control systems. Its product line is being expanded all the time, so rather than sending clients to a different third party firm for resolution, the firm continually becomes an expert in additional areas of need.